Friday's slightly weaker close topped what was another good week for markets. What is the outlook going forward. 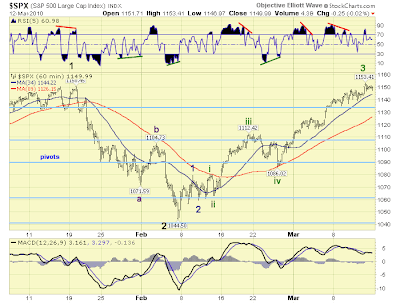 Anthony Caldaro of Objectiveelliottwave.com has a marked 3-wave top in the 60-min S&P. 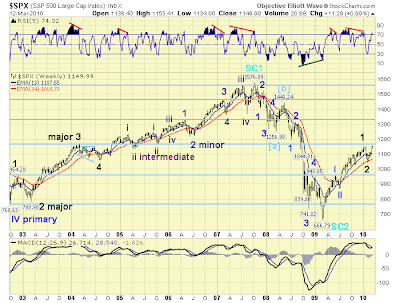 Intrigued by the newly listed "SC1" and "SC2" on the weekly; is this a long term bull call? 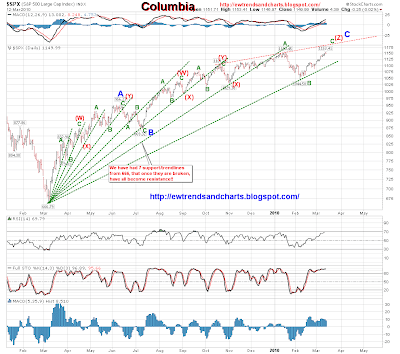 Are we in a third phase rally which will break to new highs and beyond. Yong Pan of Cobrasmarketview shows a neutral short-term picture but a more mixed intermediate time frame; nothing to suggest a market top??? But is volume declining marking a top? 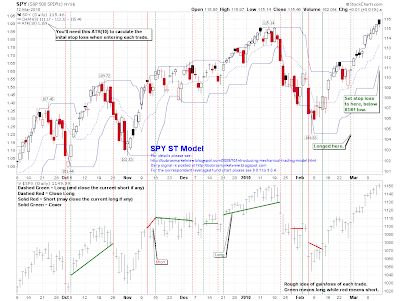 Black candlestick on SPY chart is rarely a good thing. 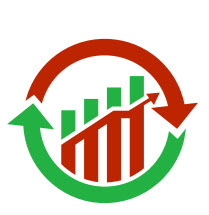 Mechanical Trading Strategy has new stop-loss low. 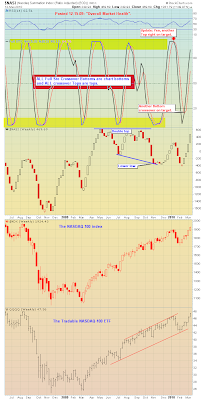 3/13 -- The markets continue upward, albeit at a reduced upward pace. You can see the flattening action on most of the upward blue mini channels in short term charts. 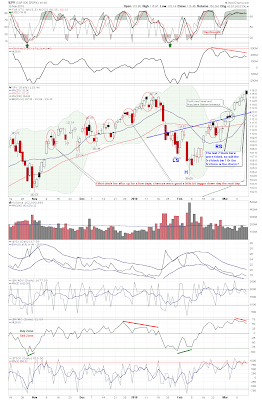 As I pointed out on the Naz chart, the price action and stochastics strongly resemble the weeks leading up to the Feb correction. 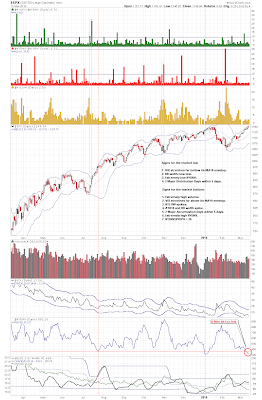 Thus, while further upward or at least sideways action is likely on the longer charts, we are now highly vulnerable to a top-out or correction in the short term. The only charts that I think are approaching a buy are GLD, as it nears support from its green channel at around 105 or so, QID as it is the inverse of the QQQQ, and VXX (which I've now added). 3/11 -- The Dow was constrained in the small red mini until late in the day when it popped out to the upside. Yes, it continues upward, but the likelihood in the short term remains that this is the end of a bullish short term move rather than the beginning of one. 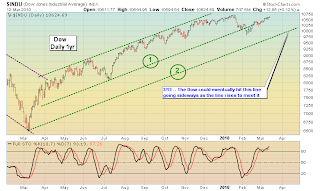 Uptrends are flatter and are having obvious difficulty when approaching larger channel lines. Momentum is still peaking and extended. 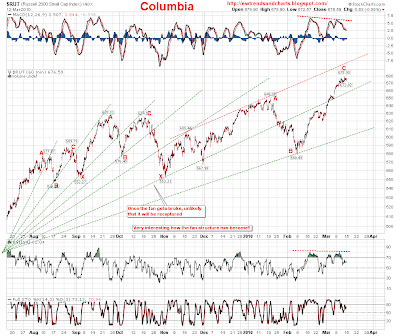 3/9 -- The selloff from today's highs merely brought things down to the lower line of the blue minichannel. That means we have to wait til Wednesday to see whether anything at all is really breaking trend. Even if they did, it would only be at the mini level. It is amazing how many pundits are now bullish and how complacent people are, given the number of additional shoes that could drop at any time. Still...you know what they say about fighting the tape. Michael G. Eckert of EWTrendsandcharts has an illustrated channel resistance line on the market leading small caps (60-min), although I'm not sure if his labelled 'C' top is a little early? 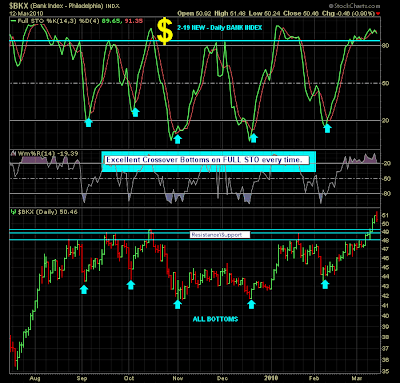 Is there a top in the banking index? 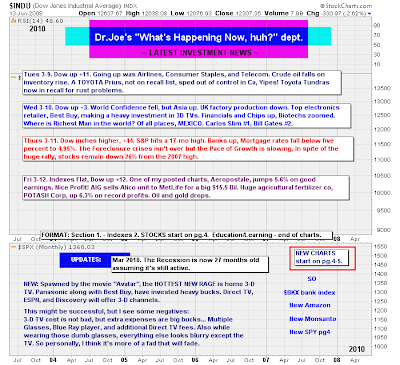 But not yet for the Summation Index? 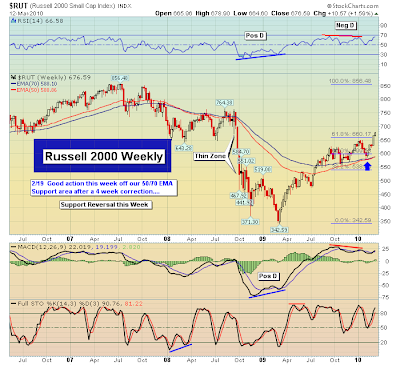 Finally, Robert New of TheInformedTrader has the Russell 2000 on an EMA crossover 'buy'.